Peter has been the Chief Executive Officer (CEO) of two frontline industry associations for more than twenty years. As CEO of the Motor Trade Association of Western Australia, Peter has represented the interests of the motor industry at both state and national level and is the official spokesperson on industry matters. The motor industry is the second largest economic force in Western Australia employing 45,000 people in 7,500 businesses with an annual turnover of $16 Billion. In 1997 he served as a strategic advisor to the then Prime Minister, The Honourable John Howard in planning the celebrations for the Centenary of Federation of the Australian States. From 1985 to 1996 he was Chief Executive Officer / Executive Director of the Law Society of Western Australia, a key leadership role representing the interests of 3000 lawyers and for establishing close relationships with government, the judiciary and the community. Peter also has experience in the small business environment having owned his own family business, Project Landscaping and Irrigation where he controlled and directed the operations of a respected commercial and domestic landscaping and irrigation company. 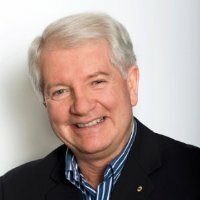 Prior to his time as a business owner and Professional Chief Executive Officer, Peter had a distinguished 20 year military career, including service with the elite Special Air Service Regiment (SASR) as an Australian Army Officer, taking early retirement with the rank of Lieutenant Colonel. During his highly successful military career he commanded Major Communications Regiment with 700 personnel and equipment inventory of $100 million; Served with SAS Regiment, including South Vietnam, a multi-national force in Singapore and an exchange posting with the British Army in West Germany and the United Kingdom and coordinated policy for communications and electronic warfare for the field force army of 20,000 personnel. Peter chairs a not-for-profit charitable organisation, a government Board, two private company Boards, is an adviser to a number of veterans and indigenous organisations and is a Trustee of a national Trust that supports incapacitated veterans widows and children from the war in Afghanistan. Peter was appointed a member of the Order of Australia in the Queen’s Birthday Honours list in June 1984 and was a state finalist for Australian of the Year in 2008-09.